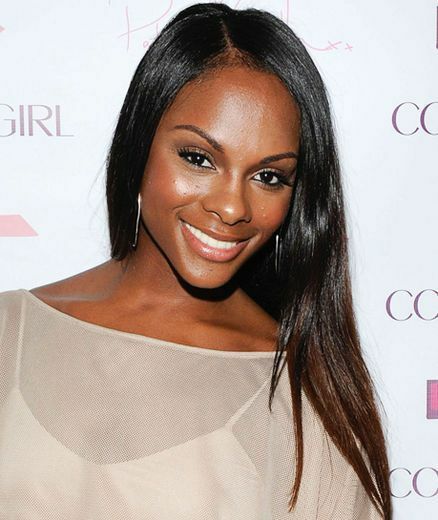 Actress Tika Sumpter engaged to Nicholas James on January. What about their Wedding Plan. The Haves and Have Nots star Tika Sumpter is finally revealed the name of the father of her baby daughter. Sumpter has only revealed her fiancé’s first name till date but has chosen to keep his last name mysterious. However, she gave a little hint about who her husband-to-be is. Sumpter revealed the big news on ‘The Real’ show in January 2017. Let’s find out more. Sumpter revealed that her fiancé proposed her during the Christmas. She also added that she had to hunt around the house to receive her gift. He performed all the amazing things in the Christmas morning and he also hid a letter behind her daughter Ella Lauren. Sumpter further said that her fiancée told her Ella wants to say something to her but when she reached, she found out that it was a simple and amazing letter and then Nicholas proposed her. Sumpter looked overwhelmed when she explained her fiancée’s wedding proposal during The Real show. Sumpter has kept her fiancé’s full name mysterious as she doesn’t want media to hamper her growing relationship. Sumpter compares herself with a mama bear as she says that social media can be harsh to her family and she needs to be protective. That’s why Sumpter took some time to share the big news with people and some of her friends. Looking at Sumpter's hint we think that the lucky man is none other than her Haves and Have Nots co-star Nicholas James. Sumpter welcomed her baby girl Ella just three months ago. However, motherhood hasn’t been really hard for her as her fiancé seems to be a great helping hand. She says that Nicholas is a great dad and he is always present. At present Sumpter is not only just celebrating her being engaged phase, but also is on her way to losing her pregnancy weight. In one of her Instagram posts, she said that she is all ready to lose the last bit of her pregnancy weight. She also encouraged all the new mothers by her words as she told them not to feel bad about the girls in the magazine as the public are unware of the behind the scenes and do what’s right by being gentle to oneself. We wish her all the very best for her future and hope our guess turns out to be true. This won't be good if it doesn't. All the best Tika!